I've been writing a lot, actually. Mainly novels (number four is just about to be finished in draft form, very exiting!) and sometimes for websites, a recent one being for 'Encourage Dads' which was fun. Last night I was on a call with Maurice Nightingale, who is a leader in a church in Ipswich, UK, and part of the team that serves us all in Relational Mission. He's a good guy. At the end of the call, he encouraged me to blog again, stating that he used to point people to the way I regularly posted. The last posting here was back in March last year - oh dear. The thing is, there isn't a lot to say. A change of approach is needed, therefore. In reality there is loads to say, but that can wait. What I was encouraged to do was just pour out my thoughts, the visions for church in Tallinn that are rattling around, even if just to encourage myself. Yet looking at the stats as I came but to this (rather dusty!) blog, I've had thousands of visits in the time I've been away, so someone is reading. The aim of this blog was always to have a place where you could hear from my heart, hence the name. But maybe the next phase will be hearing the vision for Tallinn. For Estonia even. So this is me, back again, with a maybe fresh approach. We'll see what happens. 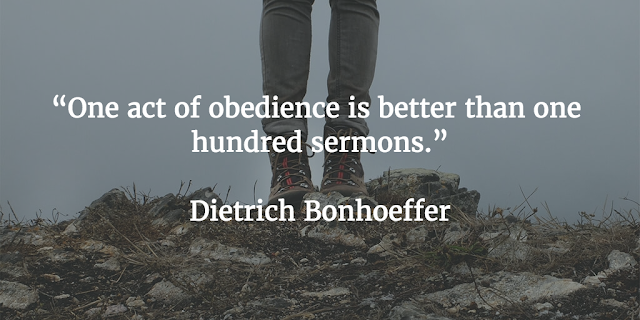 I've been thinking about obedience today. We're in Tallinn because God said so, quite simply. The same went for our time in St Petersburg. He said, we obeyed. It's quite simple really. What has happened in the two place's 'numbers wise' has been (so far) quite different. There are a few reasons for that, which I'm sure will come out in the months ahead (if not, or you want to know before, just email me and ask!). But shouldn't we measure obedience, primarily. Let me tell you this story, then I want to touch on something from the Bible. Meet Joe Bloggs. Like many others, he's called to reach ants. The great God in the sky wants all ants to know that he loves them. God tells Joe to go stand on an ant hill. Joe engages with lots and lots of ants. Meet Johnny Bloggs. He also wants to serve God. God tells him to go stand next to a tree. He does see some ants making there way up and down the tree. He tries to tell all of them that they are loved. Meet Julie Bloggs. She also wants to serve God. God tells her to stand in the middle of a field. With the long grass it's hard to see if there are any ants, but there must be some. Meet Jim Bloggs. God tells him to go stand in the home range of an anteater. There are not many, if any, living ants here for Jim to find. It's the last place ants want to be! Joe is hailed as very successful! His 'church' is seeing ants arriving all the time, and they now need three venues hosting five meetings to fit them all in. Johnny too is doing well, his constant stream of ants have helped him grow a big 'church'. He gets asked to the speak at the occasional conference too, though nowhere near as much as Joe does. Julie has found it a challenge, though has managed to spot a few ants, two wanting to join her group. Jim feels worthless. He's not found any ants that are still alive. He's looking at the success of the others and wonders what he's doing wrong. Yet, say we measured it on something Biblical like obedience, what then do we see? God looks at Joe, Johnny, Julie and Jim and says to them all - "Well done! You are exactly where I asked you to be! Great job! I'm proud of each of you." I've been working through Nicky Gumble's 'BIOY' app where you read through the Bible in one year. I'm sure this will feature strongly through the months as I pull Biblical stories. At the moment, we're in Job. Throughout the whole book (and therefore life) of Job, we see a man obediently serving, loving, and worshipping God. Yet outwardly, we see two different versions of the same man. In the opening verses of chapter 1, we see Job the successful man! In verses 13-18 his world (and roof, literally) comes crashing down. He's lost everything! In chapter 2 its his own health. Same man, two different states. Which of the two versions would get the invite to speak on Sunday at your church? The first one, obviously. Yet its this mans obedience that should shine through, his unwillingness to 'curse God and die' as his own wife suggests, his determination not to blame God for what had happened to him. It's the same man throughout. And I identify with Job in that. I do with Jim Bloggs as well. All to often we allow the worlds system of 'value' (ie wealth, success, fame) to infiltrate the church. It can make me look and wonder at times - what's actually happening here, Lord? Can anyone get saved in Tallinn? The answer is a resounding yes, of course. And despite 'nothing' much happening here, even within our humble realms two people made first time commitments to Jesus last year. And I'm the same Tim that was part of a super-doper 'successful' church in St Petersburg. It's time I stopped looking at 'success' and start resting in obedience, which is the core of what I'm trying to say. I'm not actually trying to speak at conferences. Let's value obedience. Let's encourage generously. Success in God is being exactly where He wants you to be. No other qualifiers. That must also mean you can be worldly 'successful' yet not in the place God wants you - and that, my friends, is scary.